As someone who's been in a relationship that spanned for almost a decade, a short with a title like The Darkest Truth About Love is as inviting as my favorite brand of chocolate cake and as interest-spurring as some reality shows. I think I may have taken pride in knowing and experiencing some of the lowest kind of lows of being in a relationship, and when I stumbled upon this, I wonder, what is really the darkest truth about love? Love is most of the time depicted by hearts and roses, with a coating of electric touches, sleepless nights, butterflies in your stomach and stares that leave you breathless. But it is a double-edged sword. Because what comes with the hope of love is its unwanted sibling: loneliness. 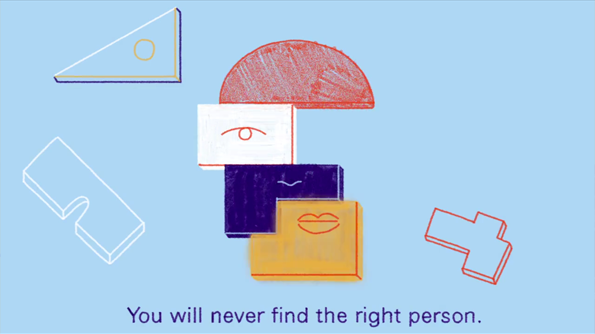 This film, made by two UK illustrators, Hannah Jacobs and Lara Lee, for London-based The School of Life, is a bittersweet representation of the truth about love. I've asked a handful of my friends to watch it. Some found it too brutal, and that they would rather prefer to look at the positive side of things and keep the faith. Some said it was gloomy, and reminded them of me (haha). And some just remained stoic and agreed with the point that the short is trying to evoke in us. 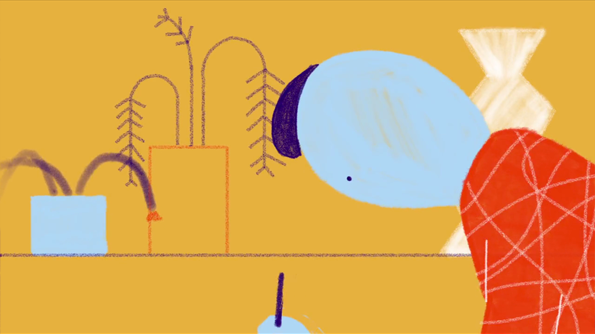 It's a delicate merging of bold and cold words (from a poem by writer and The School of Life founder, Alain de Botton), with the youthful and naive animation of Jacobs and Lee, and the soft, shimmery music by Tom Rosenthal. I think they absolutely succeeded in laying out the truth without the whole thing appearing either too cheesy or too depressing. It's a little bit of a rollercoaster of emotions in under 2 minutes.